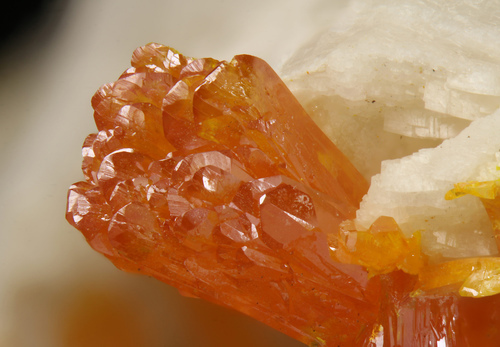 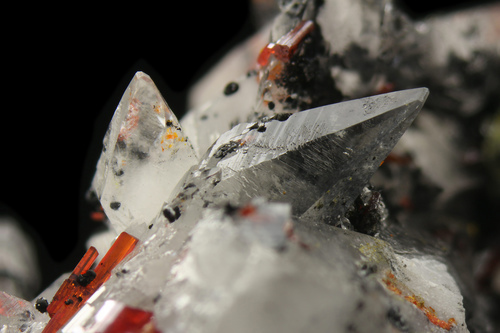 Transparent scalenohedral calcite crystals, red realgar crystals, yellow inclusions and dusting of orpiment, unidentified dark mineral needles forming ball shaped aggregates. 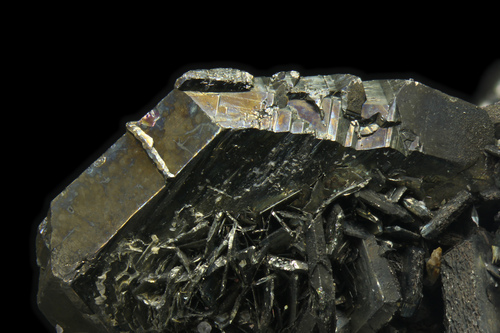 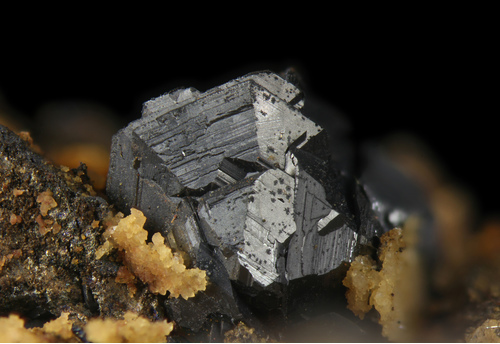 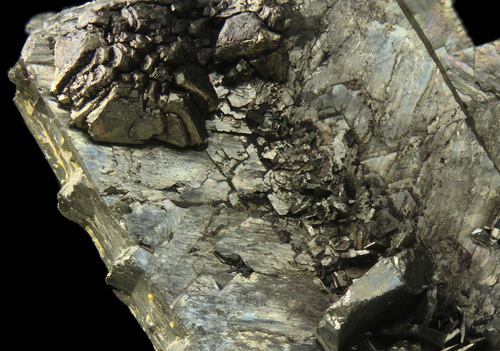 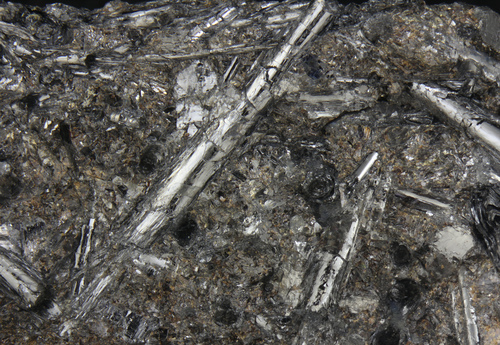 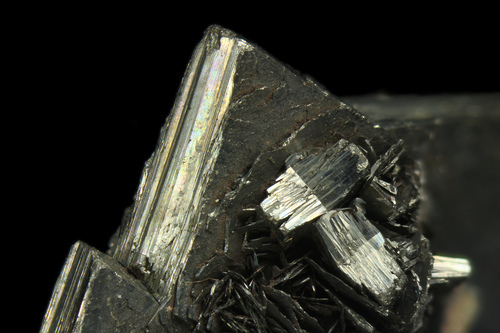 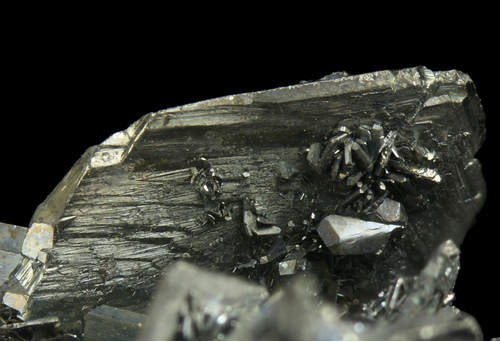 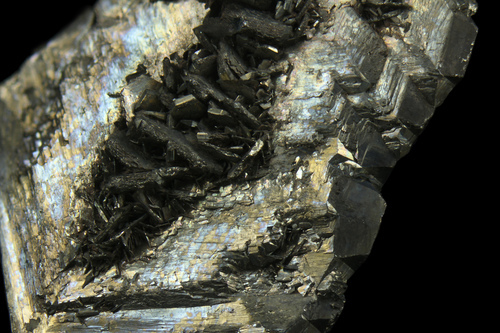 lustrous crystals of cylindrite. 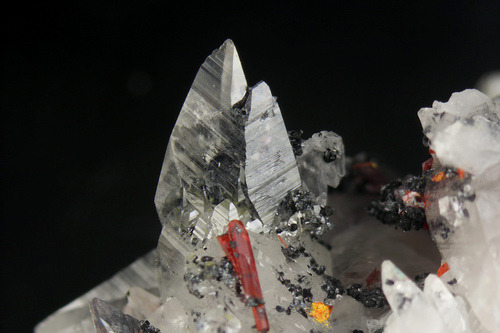 Some crystals are perpendicular to the surface and the concentric layers are visible.